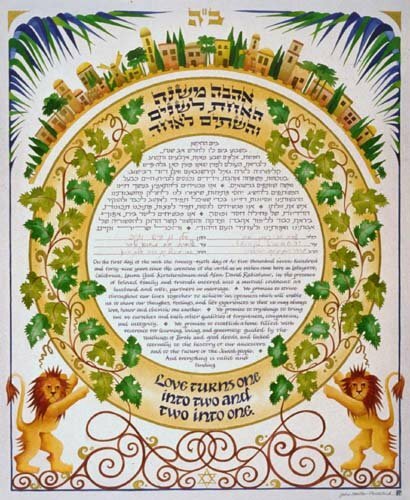 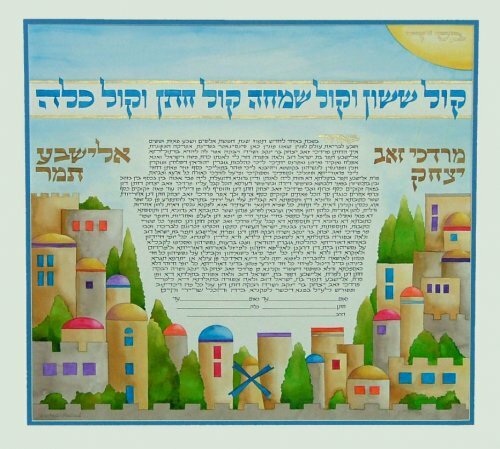 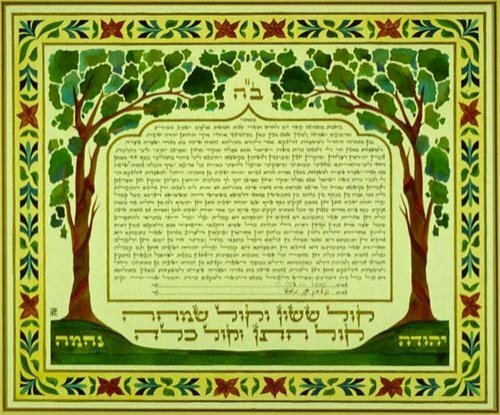 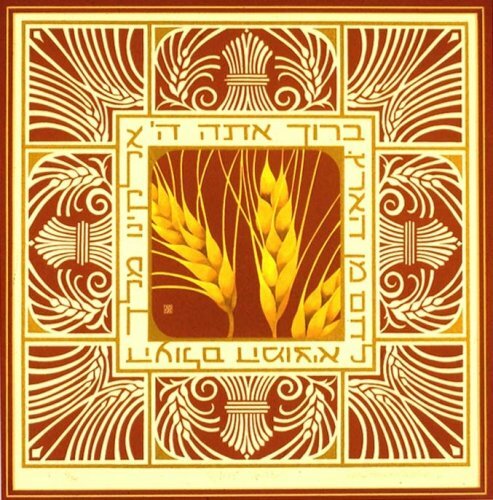 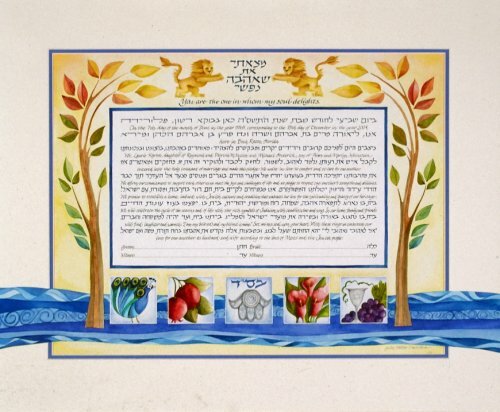 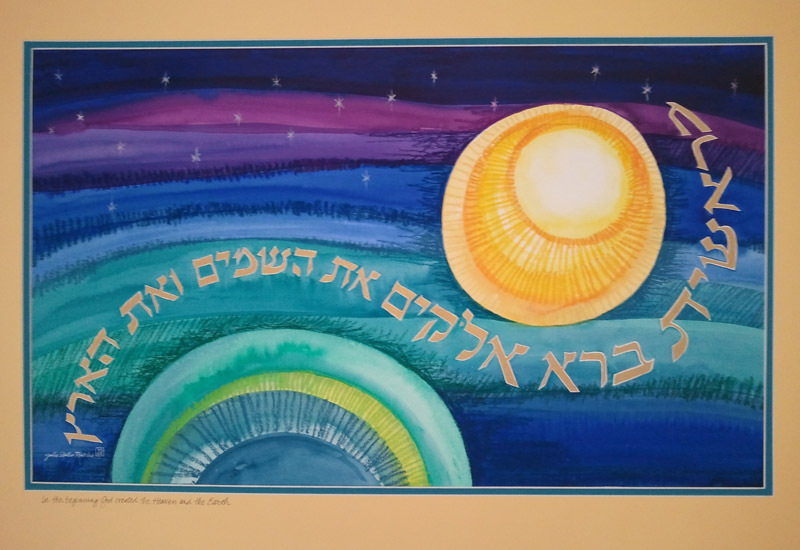 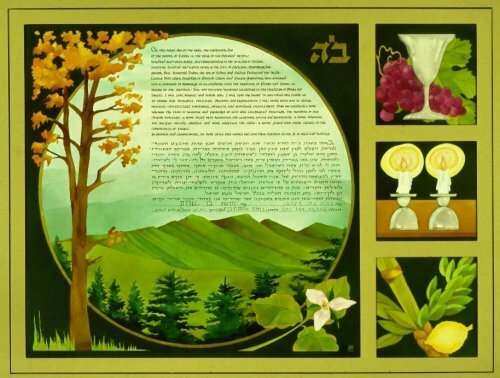 The text for this Ketubah is done in linear style, with each Hebrew line followed by its English translation. 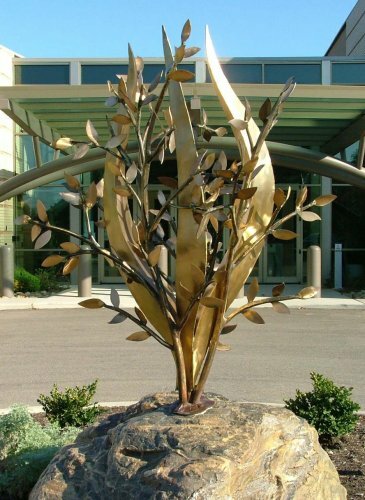 The changing colors of the leaves in the trees represents the change of seasons. 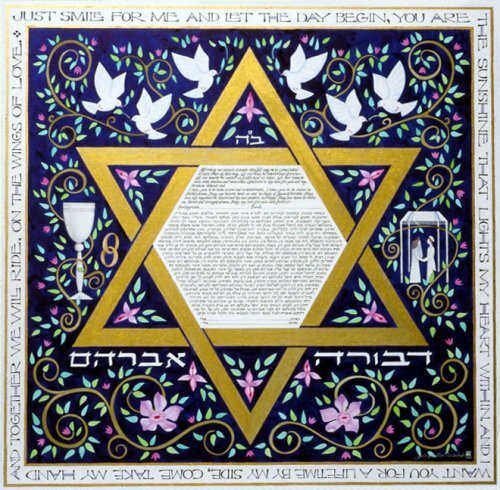 As the water flows across the piece and on through the mat, the flow of life goes on.